Cauliflower Soup is so neutral that you can do anything with it. 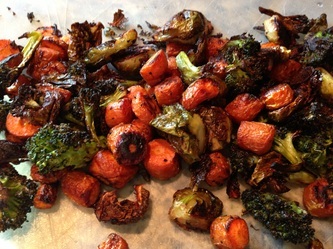 I topped it with Roasted Brussels Sprouts tossed in Fig Balsamic Vinegar and then the second time I served it I topped it with Roasted Brussels Sprouts, Broccoli and Carrots. 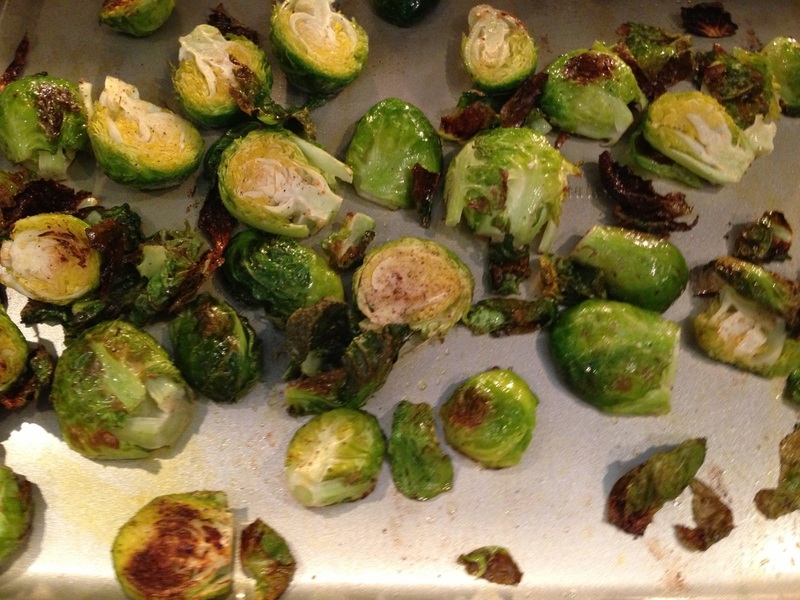 Both times it was delicious. 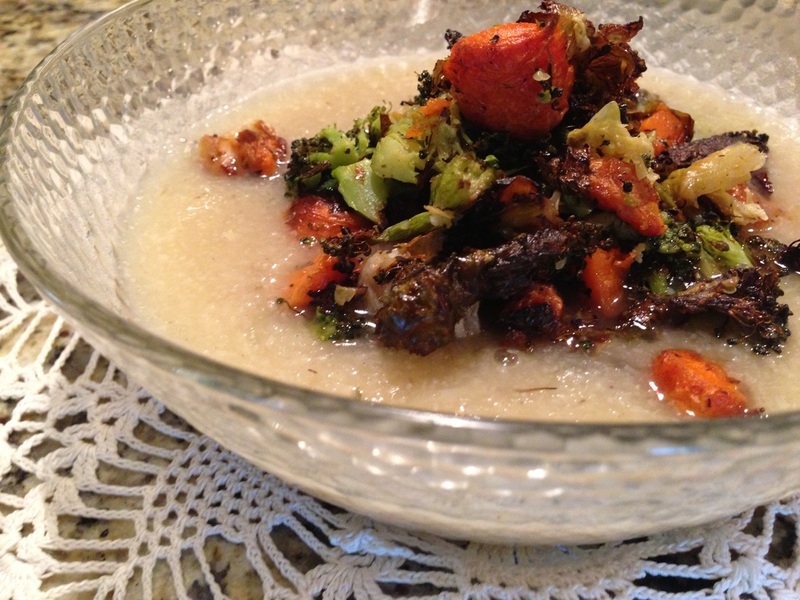 Using this soup as a platform to top with roasted vegetables is simply delicious. Please enjoy. 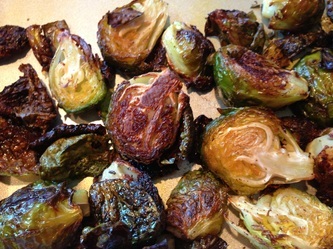 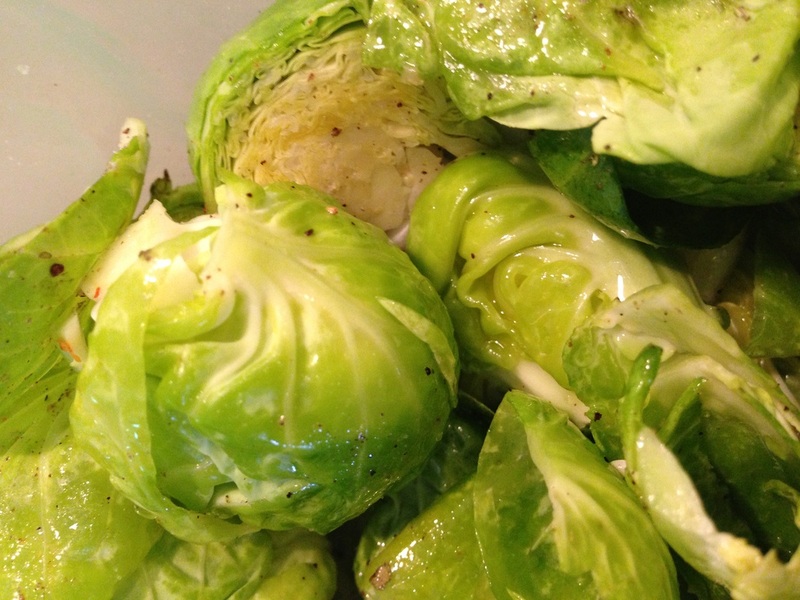 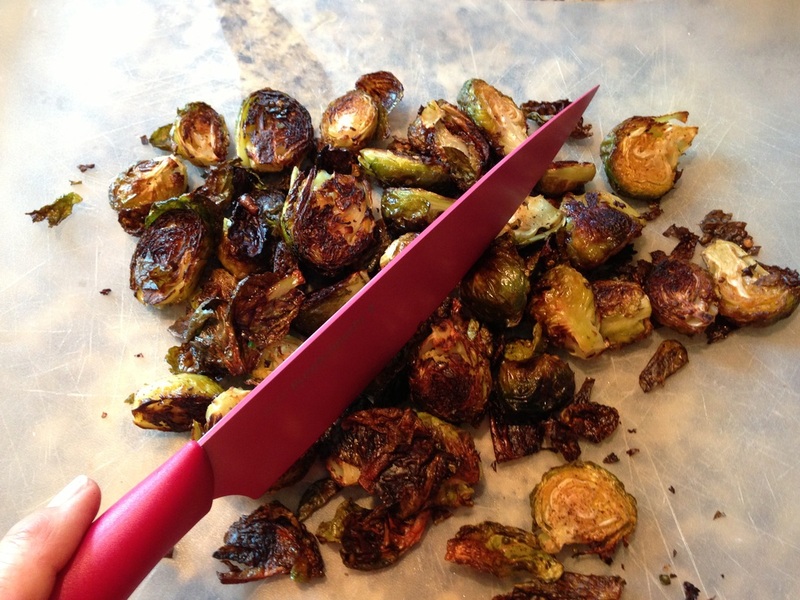 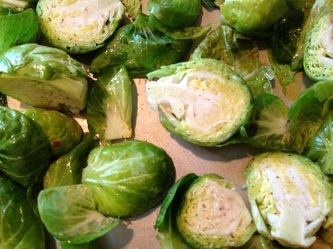 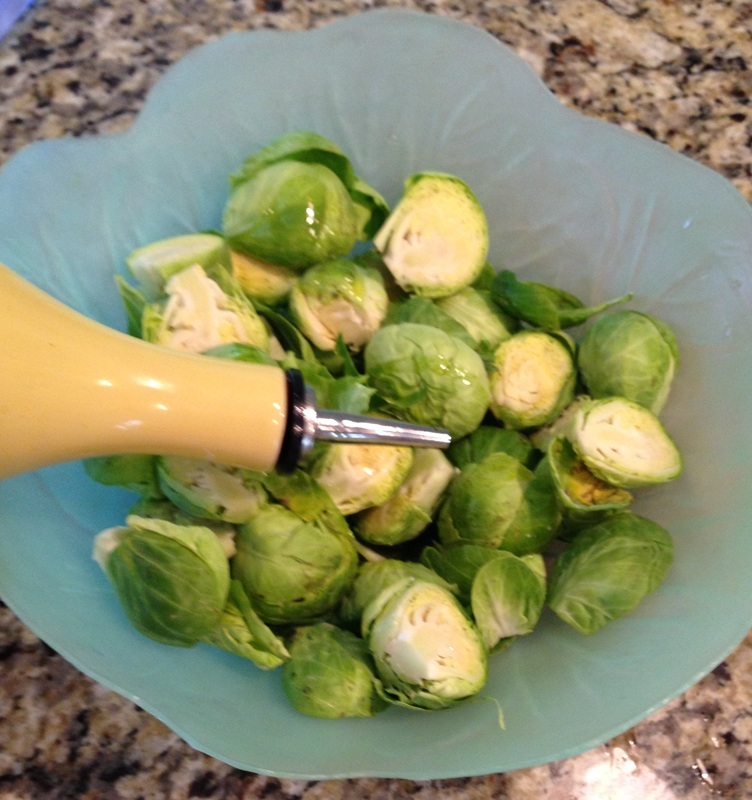 Roasted Brussels Sprouts: Toss Brussels sprouts in olive oil, salt and pepper and roast in a 425 oven for 45 minutes. They will be tender and the outer leaves are brown and crispy. 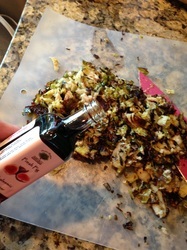 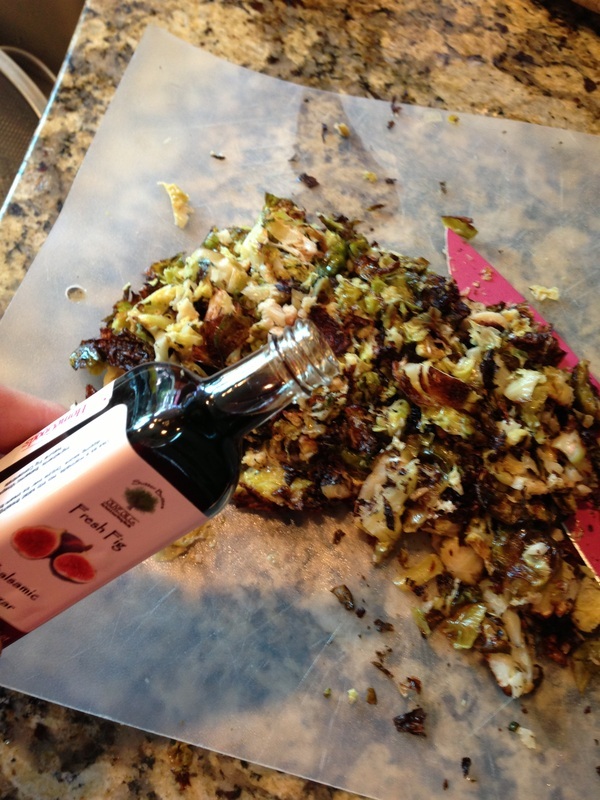 Toss with a drizzle of fig balsamic vinegar. 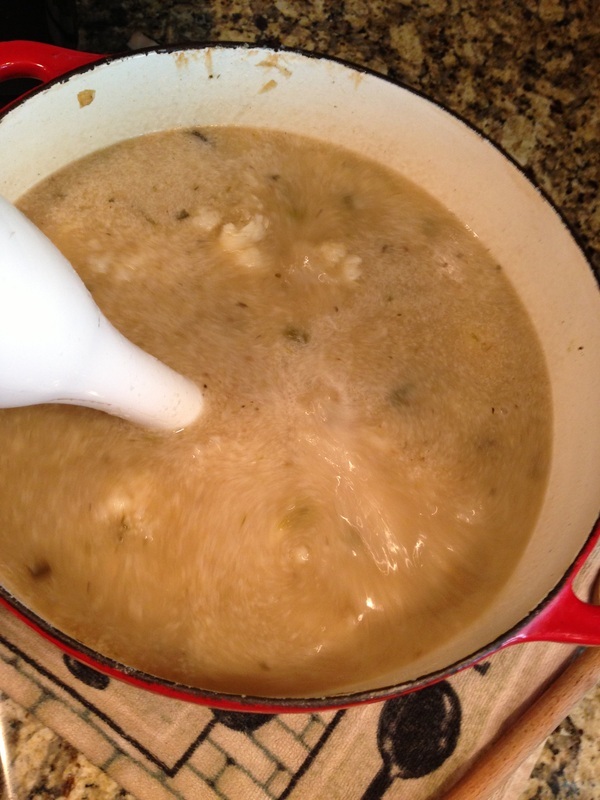 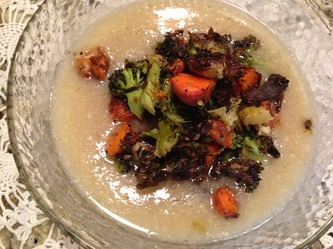 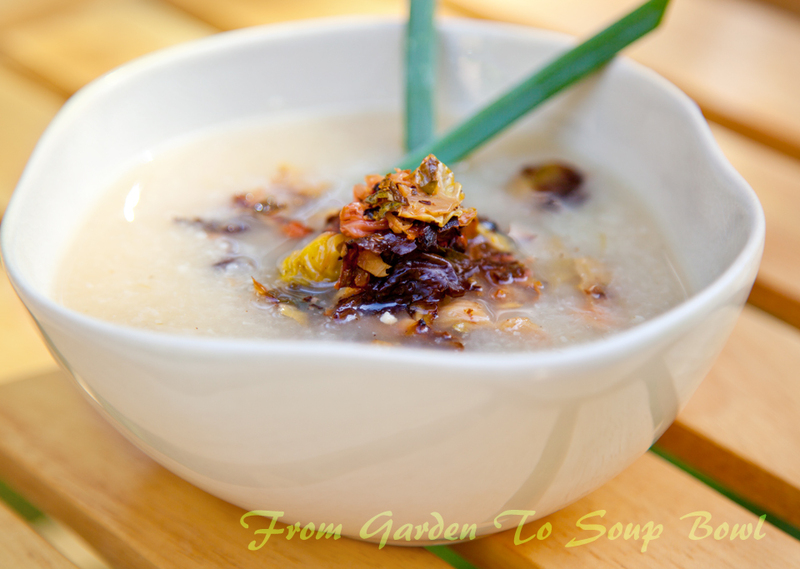 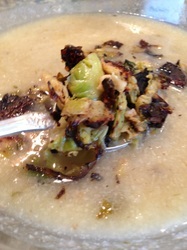 Cauliflower Soup: Saute onion, celery and green onion or leek in olive oil until soft about 5 minutes. 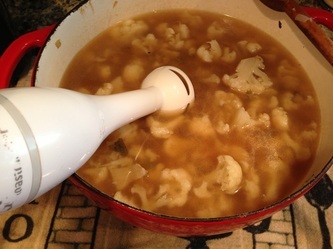 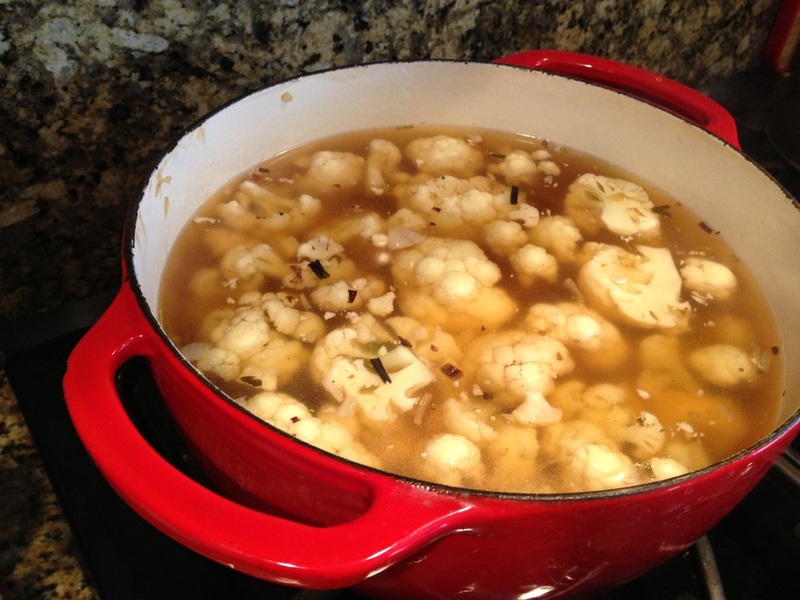 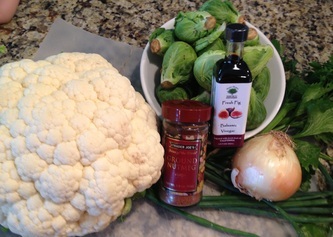 Add stock and cauliflower and cook until tender about 30 minutes. 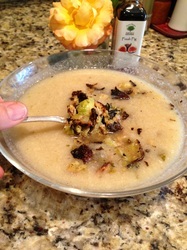 Puree with an immersion blender or food processor then season with salt, pepper and nutmeg. 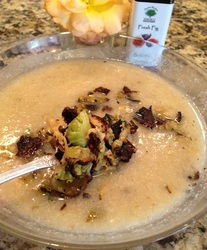 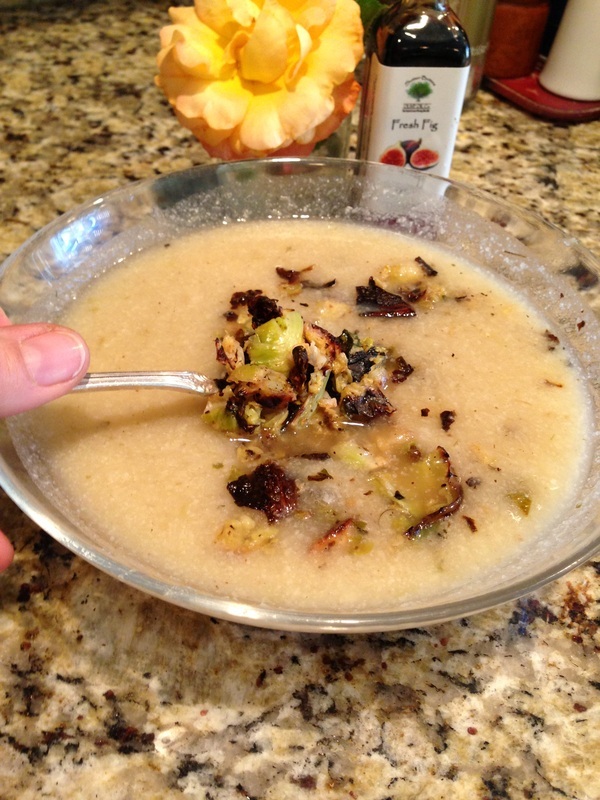 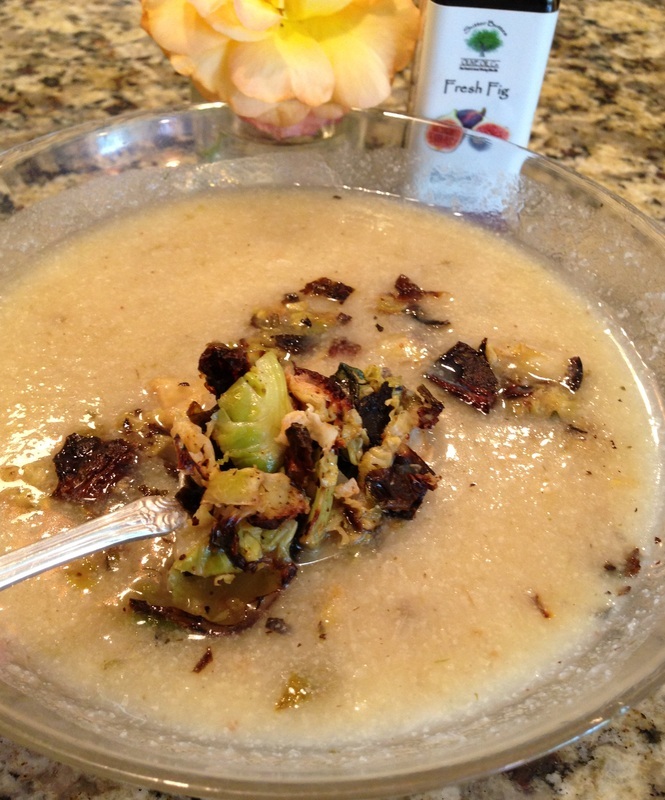 Coarsely chop roasted Brussels sprouts and combine with the soup. Sprinkle with course salt and serve warm. 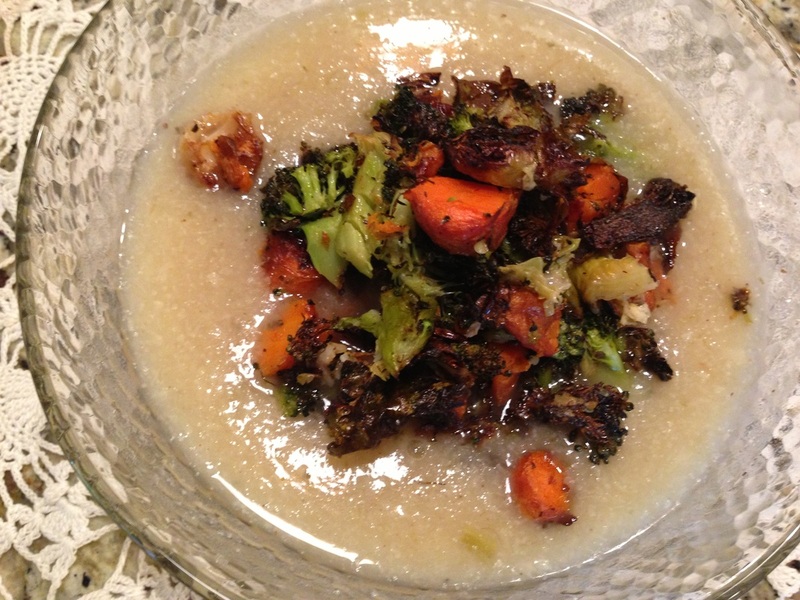 This is so good you will want to make it time and time again. I love this soup! 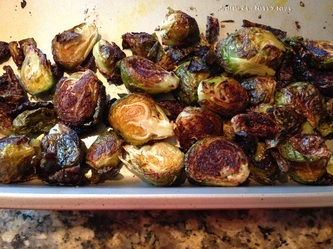 and I hope you do as well.